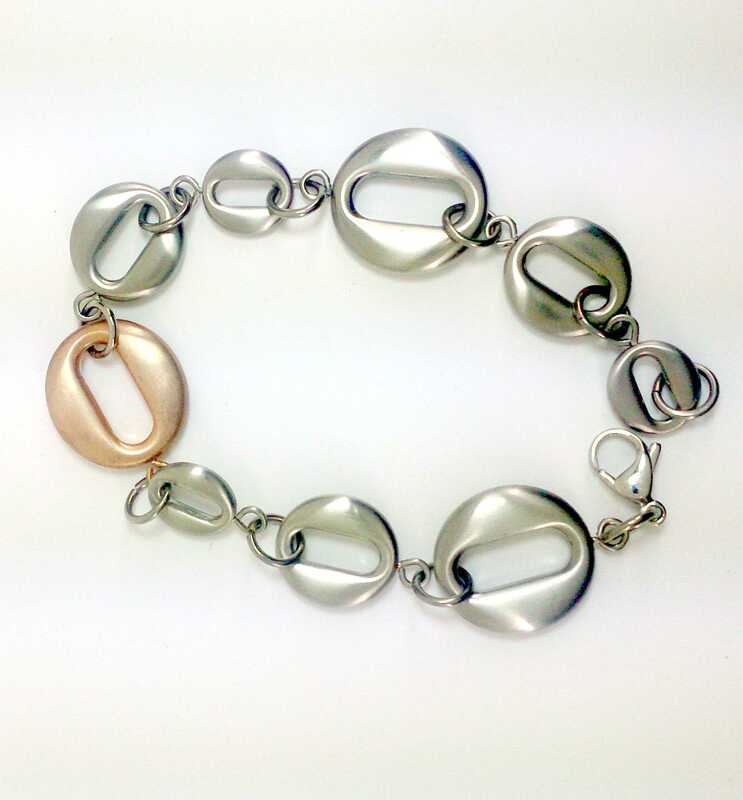 JOLIE BRACELET MARQUE DILOY, FABRIQUÉ EN ACIER AVEC UN OR ROSE PLAQUÉ ESLAVON. PORTE EN ACIER INOX MOUSQUETON COMME BROCHE. A UNE LONGUEUR DE 20 CM ET UNE LARGEUR DE 2 CM.